It is illuminating to contrast Israel’s belated solidarity with Pollard to its determined hostility to Mordechai Vanunu. Behind this argument about espionage, treason, loyalty, and parole is the strange person of Jonathan Pollard whose life as a master spy remains an enigma of multiple dimensions. Pollard would be a good model for an inverted 20th century version of Dostoyeski’s ‘underground man,’ living a lavish life style by reliance on dark and devious undertakings. It seems a no-brainer that Pollard should never have been hired as an intelligence analyst. His application for employment had been rejected by the CIA, apparently because of the numerous instabilities uncovered in his private life. Yet he was later inexplicably hired by U.S. Naval Intelligence despite the organization having reliable information that Pollard was a drug-using loose cannon whose multiple lies distorting his past were detected by a polygraph test. Although the facts are contested, it is well established that Pollard was a Zionist true believer drawn to the Israeli experience since his childhood. As a young adult he became a mercenary and mercurial spy in Israel’s pay. He actively sought, in collaboration with his first wife, to sell secret information to South Africa and even Pakistan as well as to Israel, partly to deal with private financial troubles that included heavy indebtedness. His behavior while serving as a U.S. Government employee seemed altogether bizarre, including his undisguised and careless seizure for private use of large quantities of highly classified materials outside his area of responsibility. He even had trouble convincing Israel, at first, that he could be trusted to provide useful information without detection, but after finally succeeding in gaining Tel Aviv’s confidence, was paid significant sums during his rather short career as a spy. 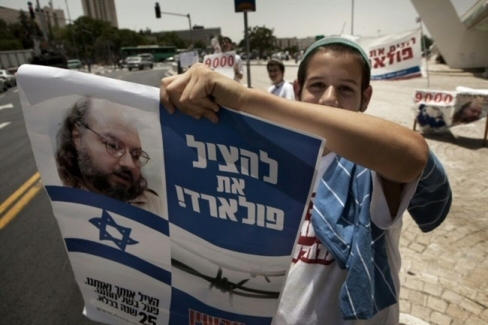 An Israeli youth holds a picture of Jonathan Pollard, during a demonstration for his release in Jerusalem on July 13, 2010. Jonathan Pollard, a former US Navy analyst convicted of spying for Israel, will be released on parole November 21, after serving 30 years in prison, his lawyers said Tuesday. "The decision to grant parole was made unanimously by the three members of the (US) Parole Commission, who make their decisions independently of any other US government agency," the lawyers said in a statement. "The decision is not connected to recent developments in the Middle East." According to AFP, the statement comes amid allegations that Pollard's release is tied to attempts by the US to make reparations to Israel following the recent nuclear deal with Iran. Israel vehemently opposed the deal that was sealed earlier this month under which Iran promised major world powers to dismantle or mothball much of its nuclear industry in return for an easing and eventual lifting of international sanctions against the Islamic republic. Israeli lawmaker Nahman Shai, chairman of parliament's lobby for Jonathan Pollard, said on Sunday that he believed a decision to release Pollard could be linked to the storm over Iran. "The Americans are looking for ways to placate Israel, there's no doubt about that," Shai, of the opposition Zionist Union party, told public radio. "They are aware of the anger and bitterness in Israel, both in political circles and among the general public. "Pollard in their eyes is a kind of candy which could sweeten somewhat the bitterness over the Iran agreement." 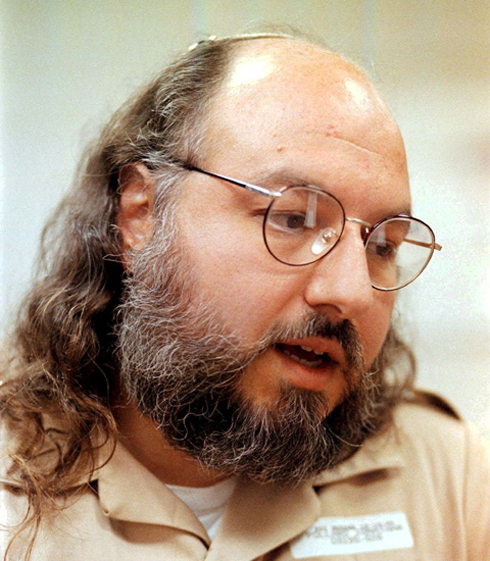 A US-born Israeli, Pollard was arrested in 1985 and two years later was sentenced to life in prison for passing American intelligence on Arab and Pakistani weapons to Israel. Pollard becomes eligible for parole in November, and the US Justice Department indicated on Thursday that it would not oppose his release. "The Department of Justice has always and continues to maintain that Jonathan Pollard should serve his full sentence for the serious crimes he committed, which in this case is a 30-year sentence as mandated by statute," its spokesman Marc Raimondi said. After 30 years in American prison, Wall Street Journal report suggests that Pollard's release is imminent in an attempt to calm rocky US-Israel relations. The administration of US President Barack Obama is currently preparing to release Jonathan Pollard, an Israeli convicted of spying on the United States, according to a report Friday night in the Wall Street Journal. However, another official subsequently denied the report. The report cited US officials who said they hoped that Pollard's release would help smooth US-Israeli relations, which have been rocky since six world powers recently signed a deal with Iran to limit its nuclear program in return for sanctions relief. Some US officials are pushing for Pollard's release in a matter of weeks, while others expect it could take months, possibly until his parole consideration date in November, the Journal reported. A US official said she was not aware that he would be released before he is eligible for parole in November. Pollard has been in American prison for 30 years after being accused of spying for Israel on the Jewish nation's ally. 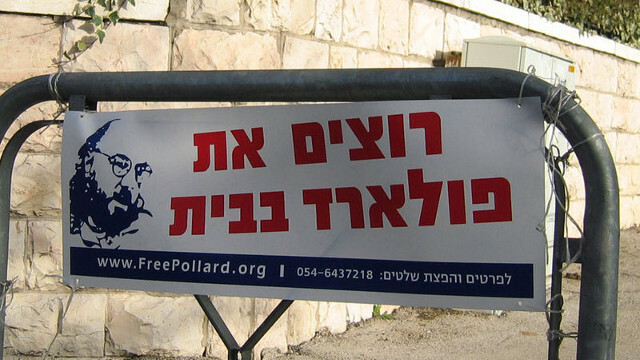 Recent reports in the Jewish-American publication Algemeiner also cited sources who claimed that Pollard's release was imminent upon the completion of his 30-year sentence in November. A leading Republican senator said Tuesday that he was confident Congress would reject a deal regarding Iran's nuclear program that was signed last week with world powers. Sen. John McCain said the unknown part of the process was whether there would be enough votes in the chamber to override President Barack Obama's expected veto. It is obvious that the 54 Republicans in the 100-member Senate will reject the deal, McCain said. The real question, he believes, is whether 13 Democrat senators will side with Republicans in order to cancel Obama's veto power. Stressing that Iran would at some point acquire nuclear weapons, the forceful critic of the Obama administration's Syria policy said he was "deeply concerned about the ultimate result of this [the deal]." "I predict now that it will be the nuclearisation of the Middle East." 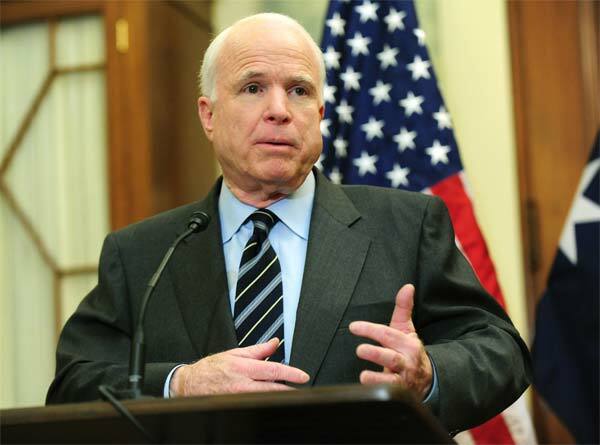 McCain, who delivered his remarks while speaking at the Washington-based Hudson Institute think tank, also expressed concerns that Iran continues to "control Lebanon, Syria, Iraq and Yemen in the region", saying it was a "paradox" for the U.S. to support the Iran deal for safety in the region while leaving Iran to continue to sway influence in those countries. "It seems to me that we are making a historic mistake," he said, echoing the words of Israeli Prime Minister Benjamin Netanyahu, who has been also very critical of the deal. In the case of "reputed violations" of the deal by Iran, the next U.S. president would be faced with a very difficult sense of circumstances, McCain said. The crucial 60-day review period for lawmakers began Monday. The United Nations Security Council adopted a resolution Monday endorsing the deal that placed long-term curbs on Iran's nuclear program. President Barack Obama said the approval of the deal by Council would help his push to gain congressional support. Obama, who said he welcomed a "robust" debate about the agreement, has threatened to veto any legislation that undermines the accord. He needs the support of 34 of the 100 senators to maintain his veto and protect the deal. Congress requires a two-thirds majority vote in the House and Senate to override a presidential veto. American Treasury Department targets senior military commanders, Lebanese businessman involved in Hezbollah's fighting in Syria. 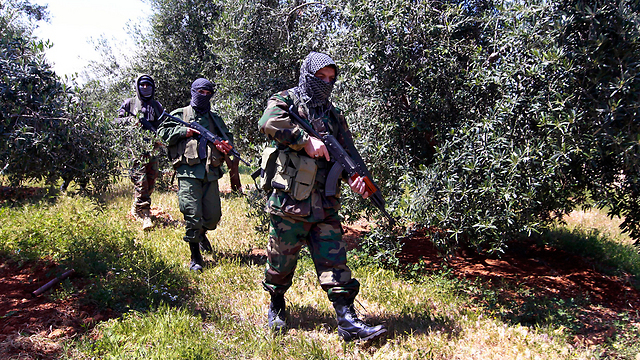 The US Treasury Department on Tuesday imposed sanctions on three leaders of the militant group Hezbollah and a businessman in Lebanon, saying they were key players in the group's military operations in Syria. "The United States will continue to aggressively target (Hezbollah) for its terrorist activities worldwide as well as its ongoing support to (Syrian President Bashar) Assad's ruthless military campaign in Syria," said Adam Szubin, the Treasury Department's acting under secretary for terrorism and financial intelligence. US President Barack Obama and Secretary of State John Kerry have said they are troubled by support from Iran for regional proxy groups such as Hezbollah. The United States and world powers struck a deal with Iran last week to limit the country's nuclear program in return for relief from sanctions. Obama said last week that the deal would make it easier for the United States to "check Iran's nefarious activities." The Treasury said it had taken action in June against Hezbollah front companies. LIVE: Ash Carter meets with Defense Minister Ya'alon upon arrival in Israel, says visit meant to emphasize US has no limits on ability to increase Israel's security. US Defense Secretary Ash Carter was warmly welcomed by his Israeli counterpart Monday on the first Cabinet-level US visit to the Jewish state since the Iran nuclear deal was announced. The Pentagon chief met at Israel's defense headquarters with Defense Minister Moshe Ya'alon and on Tuesday is to meet with Prime Minister Benjamin Netanyahu, who has strongly criticized the Iran deal. In a joint press conference held by the two defense chiefs, Carter said the US would do all it could to help Israel defend itself including continued funding for missile defense, joint training, and advanced equipment like the F-35, which Israel will receive before all other international partners next year. 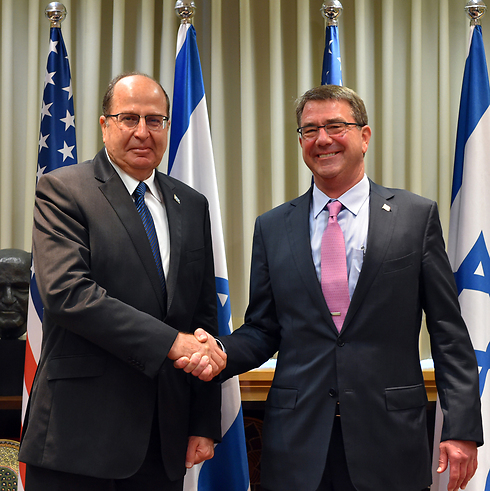 Ya'alon said Israel "greatly disagrees" with the agreement reached with Iran on its nuclear program. But, he said, "The scope and depth of the relationship between the defense establishments of the United States and Israel is unprecedented – between the Pentagon and the Ministry of Defense, between our armed forces, intelligence corps and defense industries." The Israeli defense forces held a standard welcoming ceremony for Carter upon his arrival in Israel. He then went into a closed meeting with Ya'alon. On his flight to Tel Aviv, Carter said he has no expectation of persuading Israeli leaders to drop their opposition to the Iran nuclear deal. But he said he'll emphasize that the accord imposes no limits on what Washington can do to ensure the security of Israel and US Arab allies. Netanyahu has argued that the deal clears the way for Iran to build nuclear weapons that would threaten Israel's existence and ultimately diminish US and global security. Even as tensions between the US and Israel have grown over how to contain Iran's nuclear program has grown, the US-Israel defense relationship has deepened in recent years. The US has invested hundreds of millions in an Israeli air defense system known as Iron Dome, designed to shoot down short-range rockets, mortars and artillery shells fired into northern Israel from southern Lebanon and into Israel's south from the Gaza Strip. The US has worked with Israel on anti-missile systems and a wide range of other defenses. Two years ago the Pentagon committed to providing advanced radars for Israel's fleet of fighter jets and KC-135 refueling aircraft, and making Israel the first country to buy the V-22 Osprey hybrid airplane-helicopter. US Defense Secretary Carter headed to Jerusalem for talks on ways the US can further improve Israel's security, but US officials say new weaponry won't be offered as compensation for the Iran deal. In the face of Israeli outrage over the Iran nuclear accord, the US Secretary of Defense was scheduled to visit Israel on Sunday to reinforce arguably the strongest part of the US-Israeli relationship: Military cooperation. Israel has expressed concern that US sales of advanced weaponry to Gulf Arab states has the potential of offsetting, to some degree, Israel's qualitative military edge. 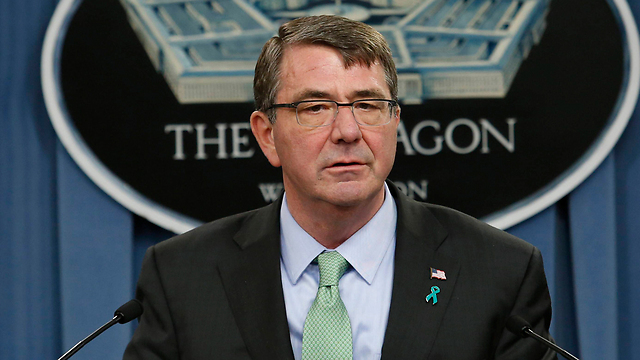 But officials say Washington has no plans to offer new weaponry as compensation for the Iran deal. Aides said in advance of the trip that although Carter strongly supports the Iran deal, he had no intention of trying to reverse Israeli opposition to it. Prime Minister Benjamin Netanyahu has denounced the deal as a mistake of historic proportion. Carter is scheduled to meet with Netanyahu and Defense Minister Moshe Ya'alon, as well as with IDF generals, and visit troops in northern Israel. He also planned to stop in Jordan and Saudi Arabia, US allies, whose leaders also are worried about implications of the nuclear deal. On the day the Iran accord was announced, Carter issued a statement saying the US is "prepared and postured" to help Israel improve its security, although he offered no specifics. He added that the US would "use the military option if necessary" to protect its allies, to "check Iranian malign influence" and to ensure freedom of navigation in the Gulf. The US-Israel defense relationship has deepened in recent years, even as tensions between the two over how to contain Iran's nuclear program has grown. The US has invested hundreds of millions in the Iron Dome air defense system, which is designed to shoot down short-range rockets, mortars and artillery shells fired from southern Lebanon and the Gaza Strip. Just two months ago Washington announced a $1.9 billion arms sale to Israel for a range of missiles and bombs, including bunker busters that can penetrate reinforced defenses to reach underground targets. Not included is the Pentagon's biggest bunker buster bomb. Israeli officials insist they are not prepared to discuss American "compensation" for the Iran deal, saying that would imply acceptance of the accord. "Everybody talks about compensating Israel," Netanyahu said Sunday. "I guess the question you have to ask yourself is, if this deal is supposed to make Israel and our Arab neighbors safer, why should we be compensated with anything," he told ABC's "This Week." "How can you compensate a country, my country, against a terrorist regime that is sworn to our destruction and is going to get a path to nuclear bombs and billions of dollars to boot for its terror activities," he said. The US and Israel have been holding talks on renewing a 10-year defense pact set to expire in 2018. Under the current deal, Israel receives about $3 billion in military aid from the US each year. That number is likely to increase when the deal is renewed, and possibly before then. "Do we think that with the sanctions coming down, that Iran will have some additional resources for its military and for some of the activities in the region that are a threat to us and a threat to our allies? I think that is likelihood," Obama told a White House news conference on Wednesday. "Do I think it's a game-changer for them? No." Obama's principal military adviser, Gen. Martin Dempsey, met with Netanyahu and Israeli military officials just last month. The Joint Chiefs of Staff chairman told reporters with him in Israel that once an Iran nuclear deal was struck, Israeli and US officials needed to "quickly and comprehensively" discuss the way ahead. Media reports say authorities suspect school fraudulently obtained millions in federal grants. US federal authorities raided the campus of the Michigan Jewish Institute (MJI) in Detroit, a college offering academic studies for Jewish students, American media outlets reported this week. 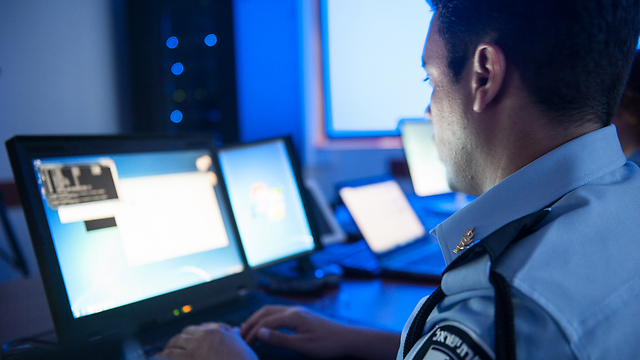 According to media reports, authorities suspected that the institution fraudulently obtained federal financial aid for Jewish students, many of whom took online courses while still living in Israel. The majority of students never completed their studies, despite the generous government subsidies. Around 15 federal agents participated in the raid on MJI offices located in the suburb of Southfield. Witnesses said the agents gathered staff into a conference room, collected their personal belongings, and sent them home. According to one witness, the agents arrived with a truck and empty cardboard boxes in preparation for seizing documents. While the motive for the raid has not been officially disclosed, media sources reported that the institution was suspected of fraud. 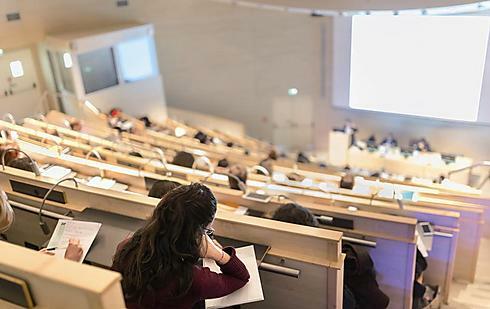 The past decade has seen a sharp uptick in the number of students enrolled at the college, and the federal funds it received skyrocketed during the same period – including federal Pell Grants for low-income students. Pell Grants totaling $25 million were allocated for MJI students. The Forward newspaper reported in 2012 that thousands of students had signed up for online courses, most of whom lived in Israel and also studied at yeshivas and seminaries. They all studied Judaism, according to the Forward, and most neglected to complete the degrees in which they had enrolled and for which they received government grants.